Take a stroll to “Loserville” (Population: You the Cavs and 76ers) and explore the longest losing streaks in NBA history. “Wow, you are one pathetic loser.” The Philadelphia 76ers lost 28 straight games spanning two seasons: 2014–15 and 2015–16, the most consecutive losses in NBA history. This was right about the time people were told to “trust the process.” Even before Joel Embiid. With two of the top longest losing streaks in NBA history, the 76ers are the Cleveland Browns of the NBA. Apparently, every 20 years or so the Cavs really crap the bed. This record stood for 18 years before it was broken. In 1980 the team was sold to a guy named Ted Stepien. Amongst his changes over the next four years was to change the team’s fight song to polka music, create a dance team known as the “Teddy Bears” (Get it-Teddy bears? Fans didn’t get it either) and trade away the teams first round picks in multiple years, which lead to a new rule called the “Ted Stepien Rule” which made that illegal. Each year the team got worse, culminating with a 19 game losing streak to end ’81-’82. In their defense, this streak took place during their inaugural season. Amazingly, they still ranked 14th in attendance. Current ABC/ESPN analyst Greg Anthony led them in scoring. They won 15 games this season and only 14 the next. Then 19, then eight, lol. 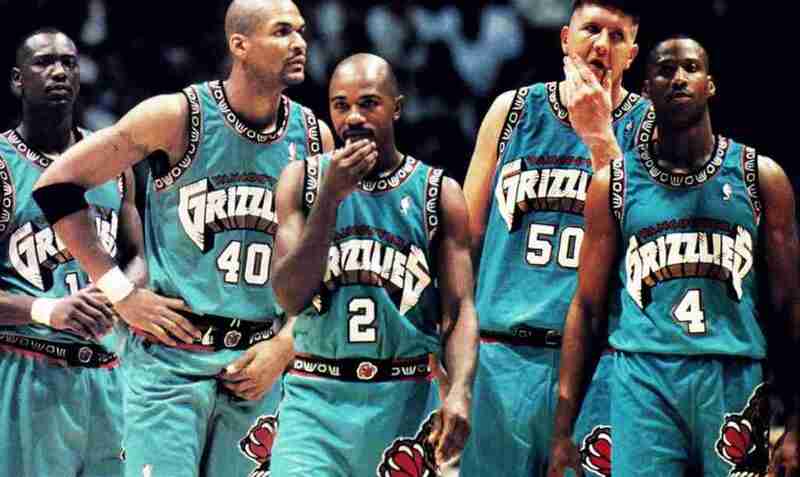 It was pretty hard to wear that Shareef Abdur-Rahim jersey with an seriousness. The golden era of Nuggets basketball had passed by this point. If you’re a Nuggets fan, read this interview I did with Dikembe Mutombo instead of remembering how rough the 1997-’98 season was on you. Blame this on Michael Jordan, everyone else is. The same way Milli Vanilli “Blamed It On The Rain.” The 7-56 record gave the Bobcats the lowest winning percentage in NBA history-.106%. They won the first game of the season, then went 6-56, including a 23 game losing streak. What a bunch of losers.